The Day My Life Changed - Jimmie Aaron Kepler, Ed.D. On July 11, 1977 my life changed. If you look up that date in history, you will find nothing historically significant happened on that Sunday. It was historically significant to me. That day was the watershed event in my life. July 1977 found me on active duty as a lieutenant in the United States Army. I was serving as Battalion Maintenance Office, 2nd Battalion, 47th Infantry, 9th Infantry Division located at Fort Lewis, Washington. Life was good. I had a beautiful, intelligent wife. I had a new son born in January that same year. My career was going great. I had just gotten a commendable rating during an annual general inspection in maintenance. I had been named an Outstanding Junior Officer of the Ninth Infantry Division because of the commendable rating. I was offered a regular army commission. I always tried to be the best I could be, and do what is right. But, after all of this, I still had a empty, unsatisfied, void, and alone feeling. Beginning in my teen age years I had tried such as social drinking, women, materialism, partying, and hanging with the right crowd to fill this unexplained need I had. I knew something was missing from my life. I was attending church. I noticed a group of men that seemed to have what I was missing. I attended a Bible study with them. Here I found that God has given us an important manual for life, the Bible. He has the answers to the problems and emptiness we may face. I found out I was here for a purpose, and not by accident. I learned Jesus loves me, and desires to have a personal relationship with me. But, sin separated me from Him. I realized I had a sin problem. The Bible says: For all have sinned and fall short of the glory of God. Romans 3:23 But no one is perfect! We have all sinned and therefore cannot save ourselves by simply living a good life. Why? I learned God gives us a promise. The Bible says: For God so loved the world, that he gave his only begotten Son, that whosoever believeth in him shall not perish, but have everlasting life. John 3:16. I prayed to accept the gift of eternal life through Jesus. I prayed, Jesus, I know that I am a sinner. I believe that You died for my sins and rose from the grave so that I might have eternal life in Heaven with You. I willingly repent of my sins and ask you to come into my heart and life. Take control of my words, thoughts, and actions. I place all of my trust in You for my salvation. I accept You as my Lord and Savior, and this free gift of eternal life. Amen. Since then all has not been perfect. I have messed up from time to time. Heck, I’m messing up big time in some areas right now. But maybe knowing God personally through Jesus Christ His son has kept me from messing up too much. When I blow it, He is there for me. Now I have had direction and purpose in my life. I know where I am headed. I have the Bible to give me the principles for daily living. I am never alone. 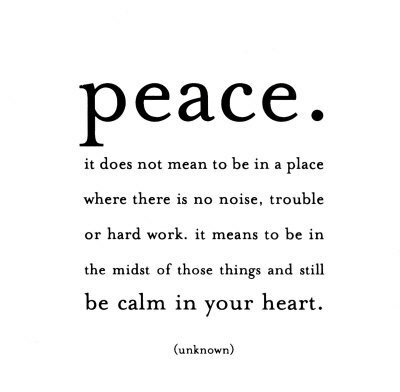 I have had real peace for the last 34 years. Do you know Jesus as your Savior? Do you know for sure heaven is your eternal destination? If you only hope so or aren’t for sure, why not nail it down today and pray the prayer I have written above. I want you in heaven with me and Jesus. It’s your choice. Pray to accept Christ now. Today is the day of salvation.